Scholar of the fourth century; contemporary with Pappa and Zebia (Ber. 25b; Niddah 52a). 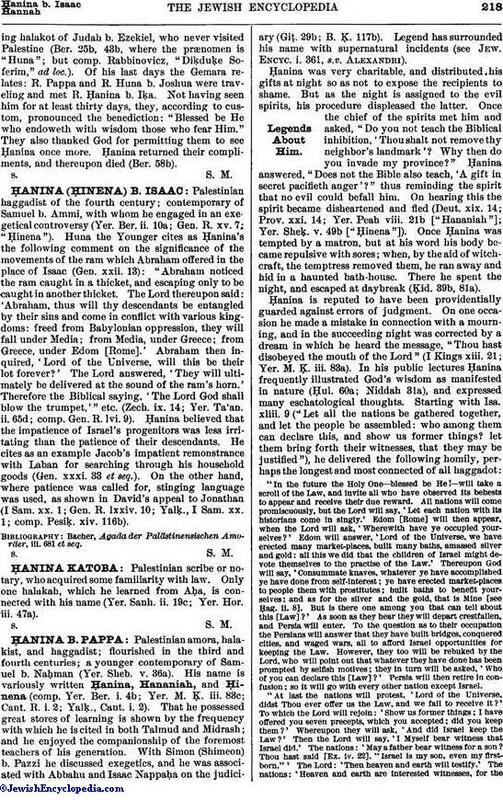 That he was a Babylonian by birth is evidenced by his reportinghalakot of Judah b. Ezekiel, who never visited Palestine (Ber. 25b, 43b, where the prænomen is "Huna"; but comp. Rabbinovicz, "Diḳduḳe Soferim," ad loc.). 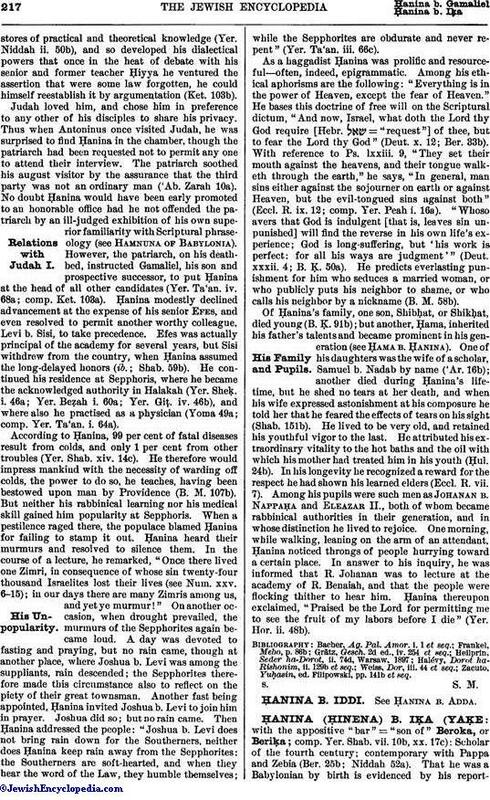 Of his last days the Gemara relates: R. Pappa and R. Huna b. Joshua were traveling and met R. Ḥanina b. Iḳa. Not having seen him for at least thirty days, they, according to custom, pronounced the benediction: "Blessed be He who endoweth with wisdom those who fear Him." They also thanked God for permitting them to see Ḥanina once more. Ḥanina returned their compliments, and thereupon died (Ber. 58b).